inflatable Multi shape drink holders are made of high quality waterproof material which can be used for a long time. Really save your money. Conveniently float your drinks in style. Lightweight and inflatable design are portable, great for keeping your drink handy in the pools, hot tubs, lakes, oceans and more. Can be fully inflated within 10 seconds, effortless and quick. Cute Multi shape will be loved by both adults and kids. -about 7.9”(20cm) bottom diameter when inflated.Each inflatable drink holder can hold about a 12 oz- 15 oz Can. Works with almost any size beverage, so you will always have your drink by your side. WITH INFLATABLE SHAPE DRINK HOLDERS, SHARE MORE COOL AND FUN WITH YOUR FAMILY AND FRIENDS! * Made of high quality waterproof material, durable and reusable. Really save your money! * Fit almost any size beverage, so you can always keep your drink handy in the pools, lakes, pools, oceans etc. 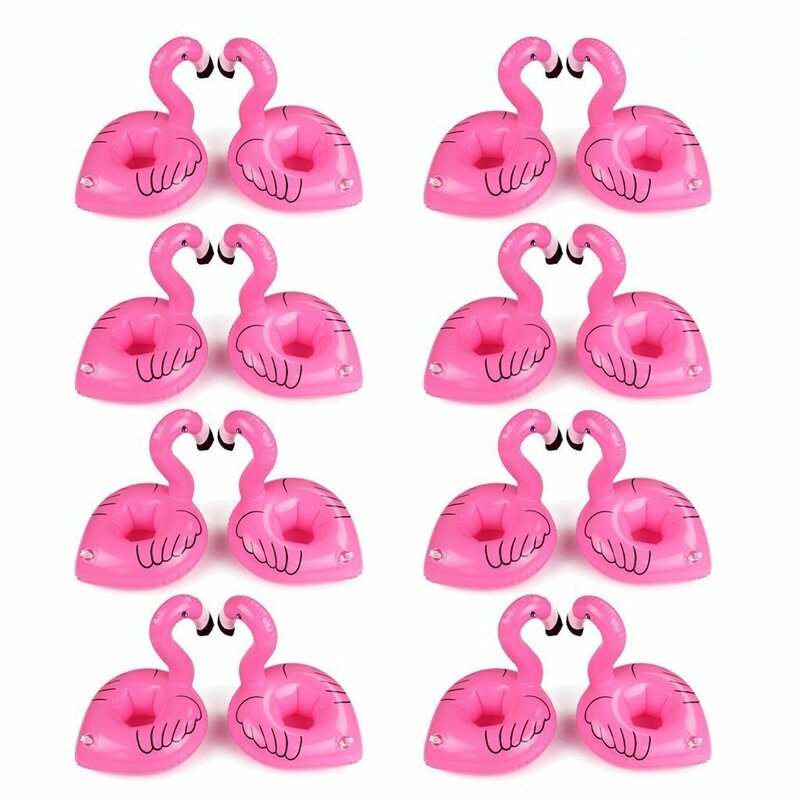 * Multi functions: Cute fruit shape and good balance feature are great for beach party or Hawaiian Luau, corporate parties, weddings, and more. As well, they can also be pool or bath toys for kids, the holders for other little items or just cute little decorations. * Lightweight, foldable and inflatable design fit for carrying them to many places, such as the pools, hot tubs, lakes, oceans and more. Just simple put them in your bag. * Dimension: about 7.9”(20cm) bottom diameter when inflated. Each one can hold about a 12 to 15oz Can.